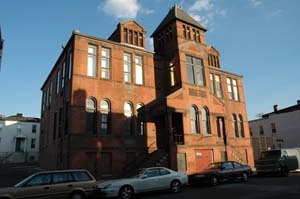 For over 30 years, School 33 Art Center has been the bridge between contemporary artists and the viewing public. Through our exhibitions, studios for artists, classes for adults and children and special events and workshops, we work to insure a vibrant future for contemporary art and artists in Baltimore. A new eco-friendly outdoor garden fed by a rainwater collection system, and renovated gallery spaces are examples of School 33 Art Center’s commitment to improve inside and out. Our goal is to remain an engaging and relevant community art center, by showcasing and sustaining emerging and established artists, and training budding artists from Baltimore and beyond, well into the future.